The Global Slag Knowledge Base is an archive of presentations andpapers from the Global Slag Conference since 2007. Global Slag Conference has become the world's foremost gathering for producers and users of iron and steel slag around the world. The conference presentations cover advances in slag modification and optimisation, as well as slag product production advances, new applications and slag-product performance. The Global Slag Conference is all about adding value to slag, for both producers and user. 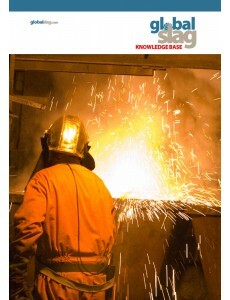 The Global Slag Knowledge Base is presented in PDF format on a fully-searchable DVD. Paper 4 A move towards legal certainly - changing the waste paradigm: Craig Heidrich, Australasian (iron & steel) Slag Assoc. Paper 17 Crack width calculations with slag blends: Jay Sanjayan: Swinburn University of Technology. Paper 15: Stored granulated blast furnace slag: grindability and reactivity: Andreas Ehrenberg: FEhS - Institut für Baustoff-Forschung e.V. Paper 17: BOF slag, a raw material for the cement industry? : David Algermissen: FEhS - Institut für Baustoff-Forschung e.V. Paper 11: New cements with granulated blastfurnace slag: From laboratory tests to standardisation: Volkert Feldrappe, Andreas Ehrenberg: FEhS - Institut für Baustoff-Forschung e.V. Paper 12: Metallurgical conversion of EAF slag to a beneficial material for cement industry: David Algermissen: FEhS - Institut für Baustoff-Forschung e.V. Paper 7: Atomized mist dust suppression for steel plant torching and slag generation: Derek Schussele: Dust Control Technology, Inc.
Paper 9 The Latest Technologies for Advanced Secondary Mining: Rick Comtois: Austin AI Inc.
Paper 2 A global overview of slag trends: Charlie Zeynel; ZAG International Inc.
Paper 5 Wear technology for the slag industry - testimonial from a US slag plant: Dennis Todd: Wear-Concepts: Inc.